Geopolitical factors once again trumped fundamentals with the growing concern over new U.S. sanctions on Iran, keeping WTI and Brent crude prices high despite a build in crude oil inventories reported yesterday by the Energy Information Administration. The EIA yesterday reported that U.S. drillers had produced an average 10.586 million barrels daily in the week to April 20, a record-breaking production rate. 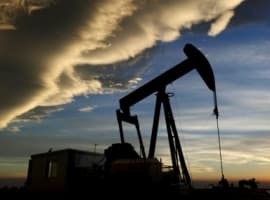 The authority added that in the same week crude oil inventories had increased by 2.2 million barrels, which went counter to analyst expectations of a draw or a much smaller build. Such figures would usually weigh on prices, but the market appears to be much more focused on the possibility of new sanctions against Iran. A slight suggestion that President Trump might accept a revised deal between the six Western powers who signed the original nuclear deal with Iran on Tuesday did halt the price rise, but it was temporary. Now, French President Emmanuel Macron has proposed a new deal to offer Trump, but if the U.S. president shuns it, it will be time of more tension and uncertainly, Macron said, as quoted by Bloomberg. Trump is due to announce his decision on whether he will extend the sanction waivers for Iran on May 12. Some analysts, meanwhile, believe that the market is underestimating the effect of new sanctions on oil prices. MUFG’s head of research, Ehsan Khoman today told CNBC that “We think at least 250,000 to 350,000 barrels of Iranian crude (a day) could be at risk of disruption if sanctions are brought back into place. In terms of the upside risk to oil prices, we think that anything north of $80 for Brent crude and WTI above $75 could firmly take place. We think markets have not fully priced-in the size and magnitude of Iranian sanctions." 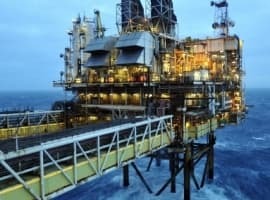 Oil prices fell by almost $2-$3 a barrel during the three days due to profit taking but they are on the rise now and this rise has far less to do with a possible re-introduction of sanctions against Iran and far more to do with the robustness of the global oil market fundamentals. 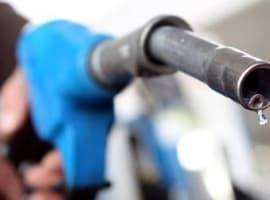 Claims about rising US oil production or a build in US crude oil and gasoline inventories are swamped by the strong bullish sentiments prevailing now in the market. Yesterday, following the release of the EIA report (which certainly was bearish news), I watched as oil prices carefully inched lower, only to soar by more than a whole dollar/bbl (on WTI) in a very short period of time. It pretty much kept rising since. It's as though international law forbids prices from going lower. Then why have a market anymore? I mean, most of the trends are set by hedge fund managers via algorithmic trading which means a relatively small group of privileged people ultimately set the price of oil. All of the news sites are saying that oil is up due to "geopolitical tensions" and "Venezuelan output crises". Trump already eased on the Iranian sanctions possibility, and it looks like a deal is going to be made, so there is no further need for news sites to keep reporting on this, let alone the market go any higher "because of Iran" as this has already been priced in. And ask any petroleum industry professional--from oil companies to executives at refineries--they couldn't care less about Venezuela. The typical response you get is that Venezuela is untrustworthy for oil companies and for refiners their crude is far less desirable is it is a heavier grade. The truth about the market right now is the hype which Saudis gave: $80 - $100 oil. That's it! Everyone in the market has calculated how much they will make from here to $80 or higher. $70s/bbl is not even mentioned anymore...once someone declares $100 then it makes $80 seem like a modest increase and that is about the only real element fueling oil markets now. Today CNN online had a hedge fund manager saying oil is going to continue to rise primarily due to the deferred investment of 1.2 tillion dollars in the oil/gas industry that will affect decline. This surprised me because CNN has analysts on that are typically bearish on oil. This lack of investment is finally catching up to OPEC since they are producing below their quotas (which historically they have consistently under complied). Saudis do not appear to have much excess capacity because if they did they would be producing above their quotas to make up for the undercompliance of Venezuela and other OPEC countries. Starting to think that current world spare capacity is below 1 MMBOPD. No doubt, the fundamentals (ie., natural declines of OPEC, Venezuelan dabacle, and increasing consumption in the world is offsetting the West Texas boom) mixed with geopolitics are having a significant effect on upward pressure in oil prices. I would say oil prices are moved more by fundamentals than the geopolitics although it is hard to distinguish between the two in the numbers. If world spare capacity is only in the 1 MMBOPD or below range then this is only 1% of the total world output which doesn't leave much room for disruptions due to the unrest in the OPEC countries.